FlashScan V2 with Dodge Cummins Tuning comes with 2 Vin Licenses – A scan tool, data logger and calibration programmer for selected GM engine and transmission controllers. FlashScan V2 with Dodge Cummins Tuning Comes with 2 Vin Licenses. This V2 has 221 Vin slots available. 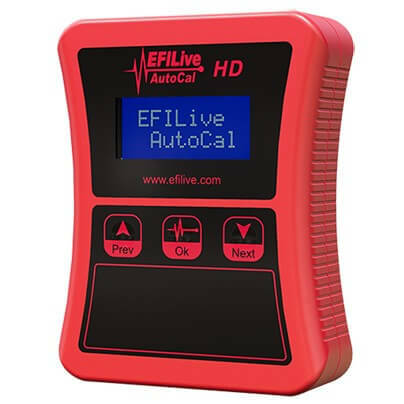 FlashScan V2 with Dodge Cummins is a scan tool, data logger and calibration programmer for selected GM engine and transmission controllers, in either standalone mode (FlashScan V2 to vehicle connection), or in pass through mode (PC/laptop to FlashScan V2 to vehicle connection). FlashScan V2, EFILive’s premier hardware device is the most important tool in a Tuners tool box. 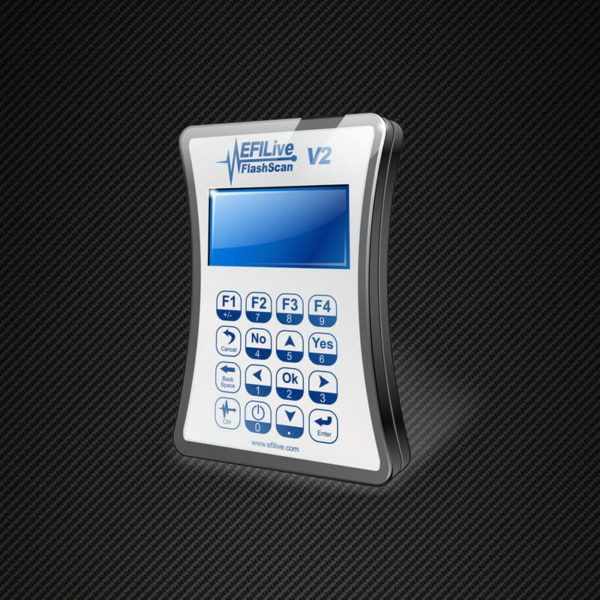 FlashScan V2 is the key component of the EFILive solution, integrating the EFILive Scan Tool and EFILive Tuning Tool with the chosen vehicle’s data management systems including Engine Controllers, Transmission Controllers and Powertrain Controllers. Using these three EFILive components collectively, customers are in full control of available vehicle parameters giving the ability to create custom tunes for their chosen supported vehicle. Historically, custom tuning has implied a laptop or PC being required in the vehicle to facilitate reading, flashing and data logging. With FlashScan V2 these constraints are a thing of the past. Flashscan V2 offers stand alone data logging from the PCM, ECM and/or TCM, and you can also log 4 external analog inputs and an external serial data input (from dyno, WBO2 etc.). FlashScan V2 can also read and flash any supported vehicle without the need for a laptop, and because the V2 also supports SD Card storage the number of tunes you can store is almost endless. FlashScan V2 stores all licensing data, so customers have the flexability of installing EFILive software on multiple computers for ease of tune creation and editing. Teamed with EFILive’s flexible Tuning Option licensing scheme, Customers need only purchase the Tuning Option that meets their needs; GM Tuning Option, Cummins Tuning Option, or both tuning options. Tuning Option purchases can be made at the point of FlashScan V2 purchase or added to an existing FlashScan V2 device.